DIY DREAMCATCHER WEAVING WALL HANGING - HIP HIP HOME! All you need is a gold hoop and some yarn. 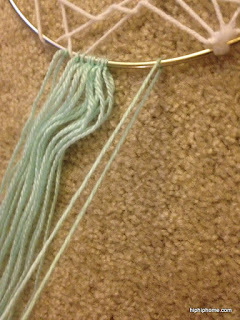 I already had some yarn at hand, so I only had to buy a hoop which set me back by a whopping 2 bucks. The first step is to make your Faux-Dreamcatcher. I didn't take pictures of the process, but I'm adding a drawing that hopefully makes sense. First, take a really long piece of yarn and knot it anywhere on the gold hoop. 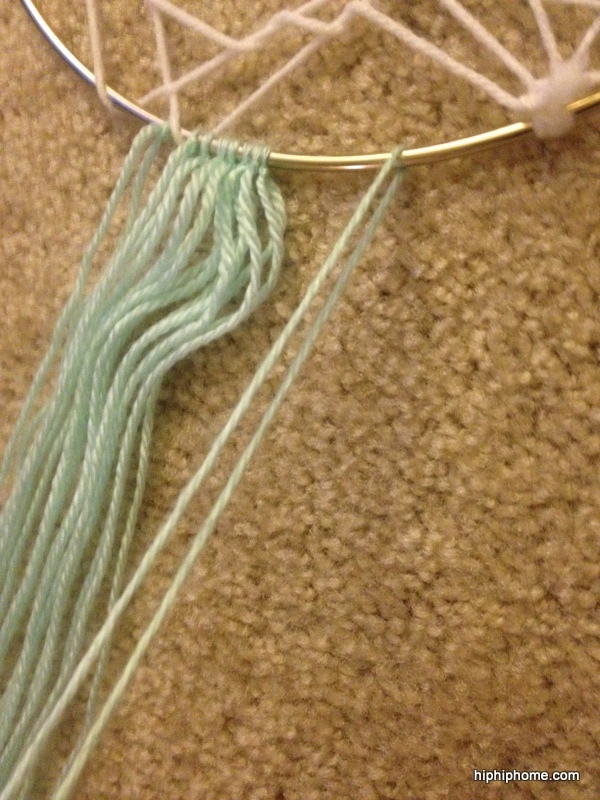 Then run the yarn through the hoop like in Figure 1, making sure it's slightly loose. 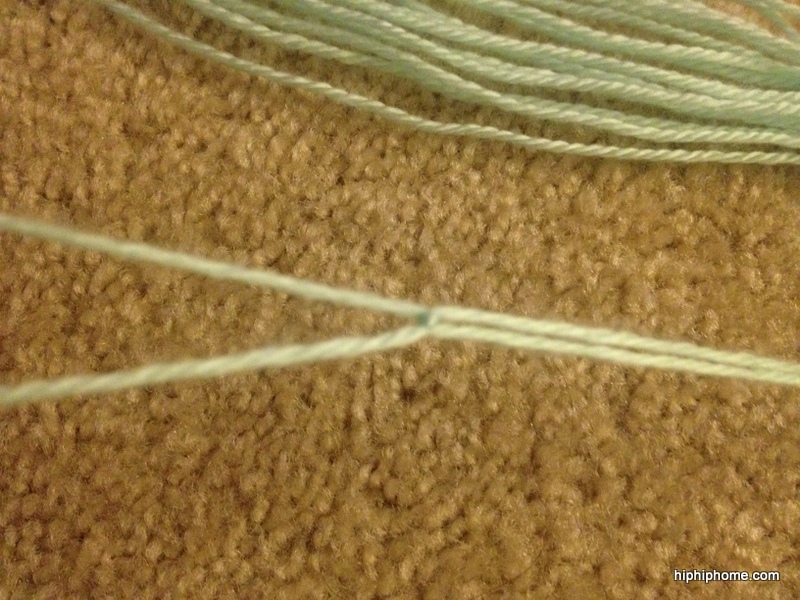 Once you reach the point where you started, continue adding a second layer of the same string of yarn like in Figure 2 (In the figure it is indicated in blue just to make it understandable, but you will just be continuing with the same string of yarn) through the first loop-layer. At, this point I had a hard time following this pattern, so I just went crazy and started looping the thread randomly and ended up with something like this. 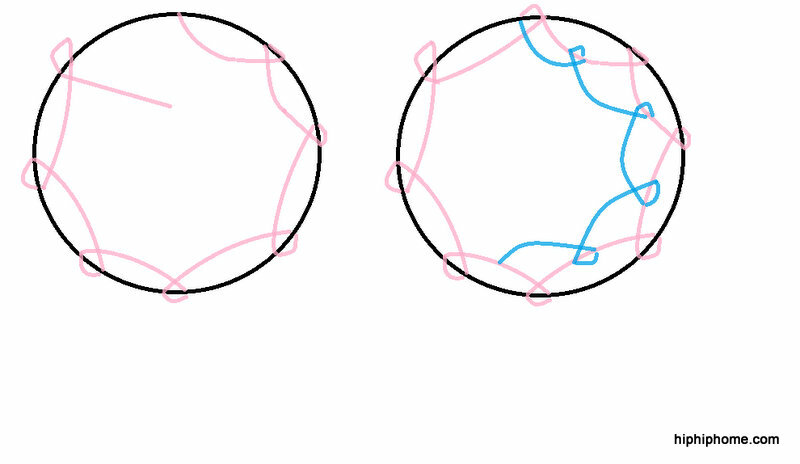 I actually had a lot of fun just looping the yarn though every possible way creating a spider-web of sorts. I know it looks complicated, but once you start, it just falls into place. Now for the fun part. 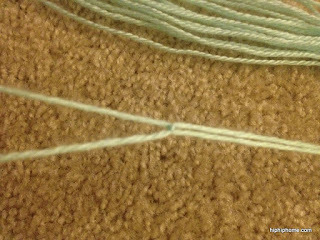 Cut several pieces of yarn twice the length of the fringe, you are going for. And then just double knot them to the gold hoop. Add as many fringes as you want! And then you end up with this! I thought of giving them a trim, but I like the way the uneven fringe looks. I love the texture it adds to the wall. 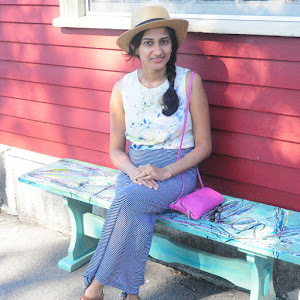 It is also a nice pop of color. I'm loving the aqua! Unlike the fringes on my head, these are pretty thick and I love them! So what do you think? Will you try this at home? Beautiful! I'd love to try this tutorial! So glad you enjoyed it Teri! I would love to see the end-result, if you decide to try it!